Mrs. Rachel M. Wagoner was born in Indiana. As a child she attended schools in Indiana, California, Massachusetts, and Vienna, Austria. Mrs. Wagoner received her Bachelor of Arts with a major in mathematics from Indiana University in Bloomington, Indiana followed by her Juris Doctorate with a concentration in Healthcare Law from Indiana University School of Law Indianapolis. Mrs. Wagoner is admitted to practice in the State of Florida and the United State District Court for the Middle District of Florida and is a Florida Supreme Court certified mediator. She also serves on the Board for Adoption Related Services of Pinellas, Inc.
During law school Mrs. Wagoner worked with the Indiana Attorney General in the Medical Licensing Section. After passing the bar, she was an associate working in the areas of estate planning, corporate planning, tax law, health law, and employment law at the law firm ofGassman, Bates & Associates, P.A.. She also worked as an associate at James, Hoyer, Newcomer & Smiljanich, a firm specializing in complex litigation and class actions. 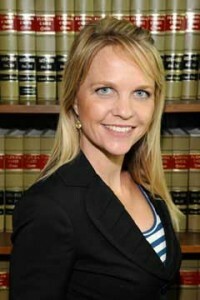 In 2005 Mrs Wagoner opened her own law practice and has handled a wide variety of matters from family law issues, adoptions, real estate disputes, business litigation, business planning, probate and estate planning. She has represented various condominium associations, management groups and other corporations. In this capacity, she has handled a variety of tasks including foreclosures, evictions, injunctions, association disputes, general commercial litigation and drafting protocols for the management company. Mrs Wagoner joined the Law Office of Gerald R. Colen, P.A. in February, 2013 where she focuses her practice on real estate and business litigation. Mrs Wagoner’s experience covers a broad range of real estate law and estate planning, including assisting clients in purchases, sales and leases of property, assisting in foreclosures and workouts; advising on questions of condominium law and homeowners association law, real estate litigation, will drafting, trust planning, and guardianships. Mrs. Wagoner is an exceptional strategist and a gifted communicator who listens to her clients needs. Despite the passion for her job and commitment to her clients, she stays fresh by devoting time to family and life outside the office, including time with friends, boating, fishing, running and cooking. She believes that balance in life helps her empathize and serve her clients better.